This week’s reading list is focused on ways training improves employee engagement. Before you consider trimming your 2019 training budget, consider the impact employee training has on your turnover. Engaged employees are more likely to stay at their jobs. Replacing just one employee can cost you one to two times the person’s annual salary. Training makes employees feel valued and increased their engagement. letzNav Takeaway: Training creates engaged employees. Engaged employees drive better bottom-line results by decreasing turnover and improving results. letzNav Takeaway: Training eliminates barriers employees have from completing their work. The right training and support tools empower employees to complete their work without relying on your support staff. Is Your Employee Development Broken? Here's How to Fix It. Most employee surveys reveal employees are not satisfied with their company’s training and development. Employees aren’t engaged and do not see the value in the training. Trainers should tie training to the company mission and vision and create accountability within peer groups to increase engagement. letzNav Takeaway: One of the key points in the article is employees can’t master new skills in a one-day training course. Ongoing feedback and well as ongoing support and training from a tool like letzNav can improve training retention and employee engagement. 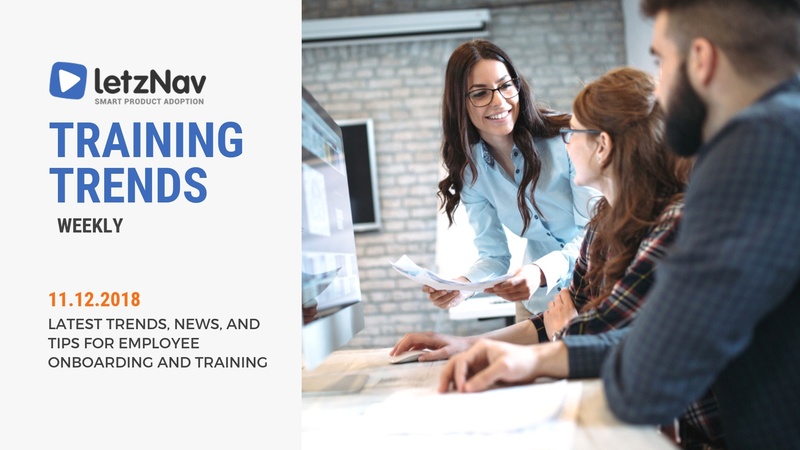 Training Trends Weekly, letzNav’s weekly summary of the latest trends, news, and tips in the world of employee onboarding and training, is published every Monday. Schedule a demo today to learn more about how to harness letzNav’s technology for your employee training.